Hey! June has sprung upon us here at Daisy Pets, and I am not sure how to feel about it. I feel as though this year is slipping through everyone's grasps, and I haven't accomplished or done what I said I would by this time. I need to kick myself in the bum, and realise that the months will keep slipping by. For a lot of people this means it is time for Junk Free June, where they kick out junk food for one whole month. Some people will be raising money for charity, others will be doing it for the health aspects. My mother and sisters are all participating, and have stocked the cupboard with more appropriate snacks. I won't be. I am already on a plant based diet, so I don't really have the chance to eat 'junk food' as much as the next person, so don't see the interest in cutting out something I may want to eat. 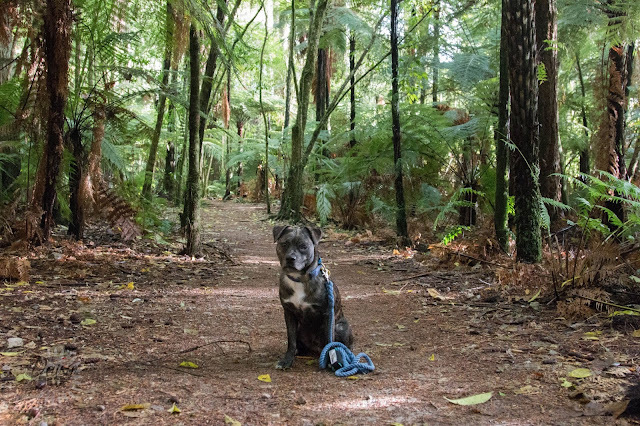 This past weekend Diego and I took a spur of the moment trip to Rotorua to visit my dad. Unfortunately, the whole trip seemed to be filled with stormy weather so I wasn't able to get the camera out of its bag very often. Diego and I drove up from Whanganui on the Friday and it is such a beautiful drive along a quiet, old highway surrounded by farm land and tumbling hills. When we arrived in Rotorua, we went straight to the Redwoods for a stroll. It was a patch of decent weather, only spitting for a bit of our walk. I am still working on my photography in low lit areas, so walking the forest did come up with a bit of a challenge for me, but I think I managed to get a few nice shots. We got this awesome Postman toy from Puss & Pooch in the Mega Lucky Dip pack. It is made of a thick canvas material, and has been stuffed in different segments, so that if there is a hole in the arm, they cannot take all the stuffing out, and vice versa. We have had this toy for a couple weeks now, and Diego has loved it since he first got it. He has spent many an hour laying down with it in his mouth and just gently squeaking the toy. I also found him asleep with it still jammed tightly in his jaws. I think the best thing about this toy is the look of it in your dogs mouth. I loved watching Diego trot up to me, with the postman's arms swinging erratically as though he was scared and asking for help. Thankfully, I got some photos of Diego running with the toy so you can see how comical it looks. 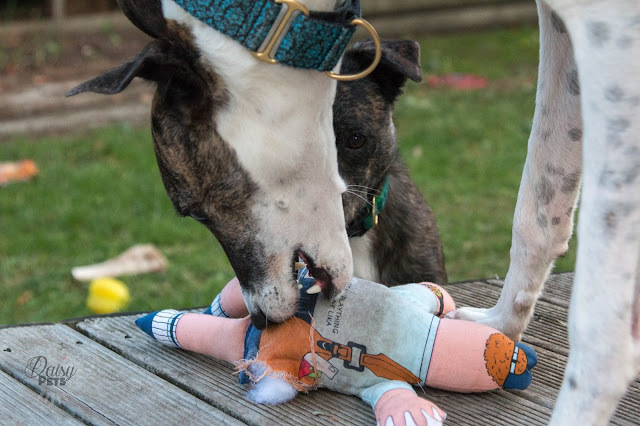 During this photoshoot was the final days for our postman, the holes in his body finally giving away to Diego's snapping teeth and his stuffing was left strewn across the lawn. Diego recently has taken up a new hobby. It's not a hobby I personally enjoy, nor do I promote it. He has taken to charging full speed to people across a stretch of land when on our walks. It doesn't matter if they are alone, if they are with kids, if they have a dog, anyone that he can see, he will go and check out. This makes for a very uncomfortable run for me across the expanse of land that he has decided to charge across. 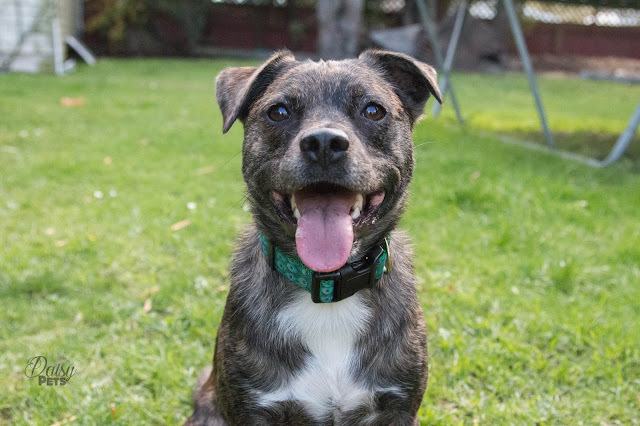 He means no harm, and is a friendly dog, but really it is something that no one likes. 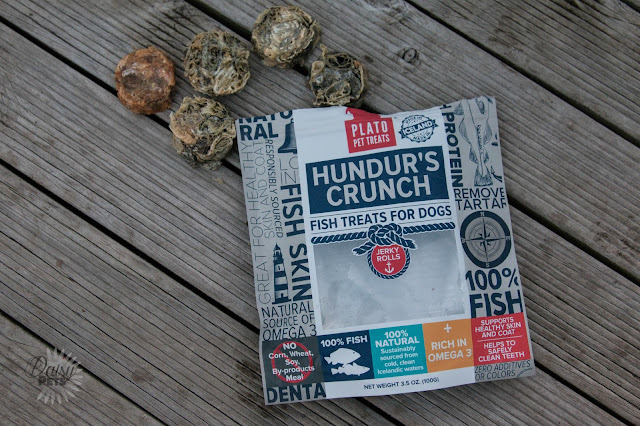 To combat this problem, I have started taking treats along on our walks and often practicing recall when there is no one around. When there is someone, I have started putting him on a lead. Just until I can hundred percent guarantee he will listen to me. On the 2nd Friday of every month there is a Pet Bloggers Bloopers Round Up, where Pet Bloggers share some photos from the previous month that something has gone wrong or is quite funny. I have been reading these for multiple months now and never really had something to contribute, well this month I do! I had Diego perfectly posed by the Whanganui river, he was sitting nicely and looking directly at the camera. The background was perfect, a wonderful sunny day that was reflecting off the waters surface. 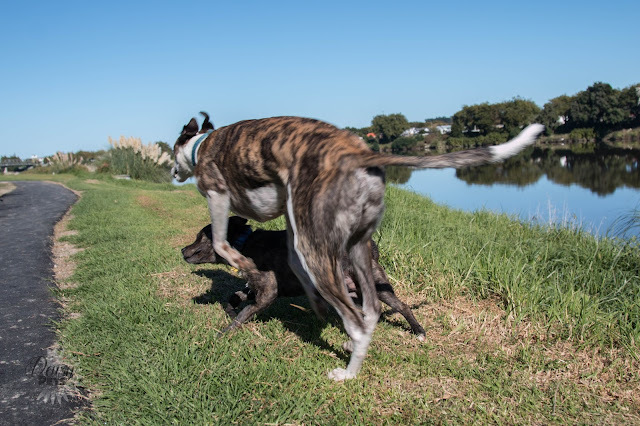 As I clicked down to get this shot, Chico shot past, full Greyhound speed into Diego. I am quite an impulsive person, and a lot of my actions and decisions are made on a whim. I got both Guinea Pigs on a whim, heck, I even got Diego on a whim. I left my well paying bank job on a whim, and then also moved to Whanganui on a whim. Sometimes this can be a bad trait, it makes me look indecisive and irresponsible. But in all honesty I do it because I am seeking happiness. Hey! Today I am bringing you another book review, this time it is Pukka's Promise written by Ted Kerasote. Ted Kerasote also wrote Merle's Door, which I read sometime last year and really enjoyed so thought I would give this one a read also. 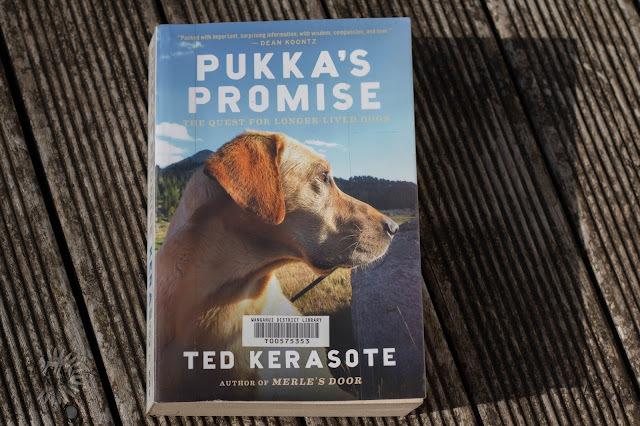 Pukka's Promise is about Ted's hunt for a new dog to come into his life after five years without Merle. The major twist in this book, compared to any other dog related book I have read, is that it not only does it follow his journey on getting Pukka, it contains a heap of facts and research about dogs. 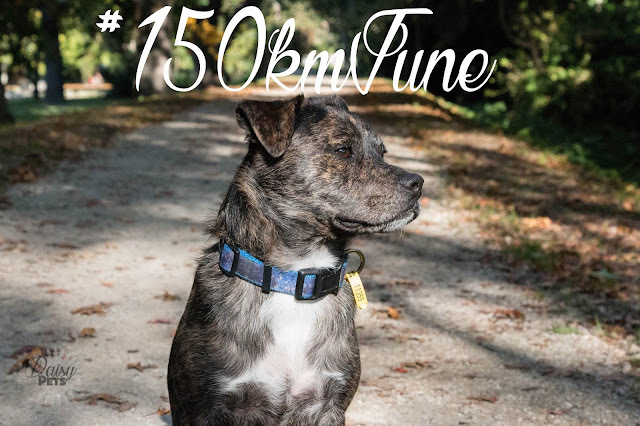 Ted was upset about how low the longevity of a dog is, and had also had a lot of people contacting him after Merle's Door to share similar stories of how young their dogs passed away. So with that in mind, he went about researching how we could look at keeping our dogs happy and healthy for longer.